Sending or Selling to New Zealand? New Zealand’s online market is quickly transiting into a period of growth. New Zealand's population exists of around 4.4 million people, of which 82.8% uses the internet. Our Bedford based mailing house has handled mailings for leading publishers, direct mailers, and other businesses since 1969 and our mailing house in Southampton has over 25 years experience and recently moved to an upgraded facility. Both mailing houses offer end-to-end mailing fulfilment services and are ISO 9001 and 14001 accredited. Mailing Fulfilment services are also offered by Asendia in Germany, Singapore and USA. Whether you are a leading brand or young ecommerce business, our order fulfilment centre in Bedford can provide you with high quality and low cost order fulfilment solutions. Are you sending parcels, newspapers and magazines, direct mailing or business mail to New Zealand? 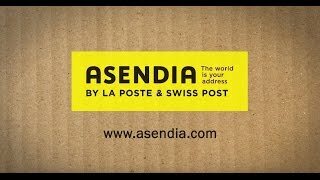 Asendia can support you with a variety of global mail and e-commerce solutions, combined with international know-how and a global network.